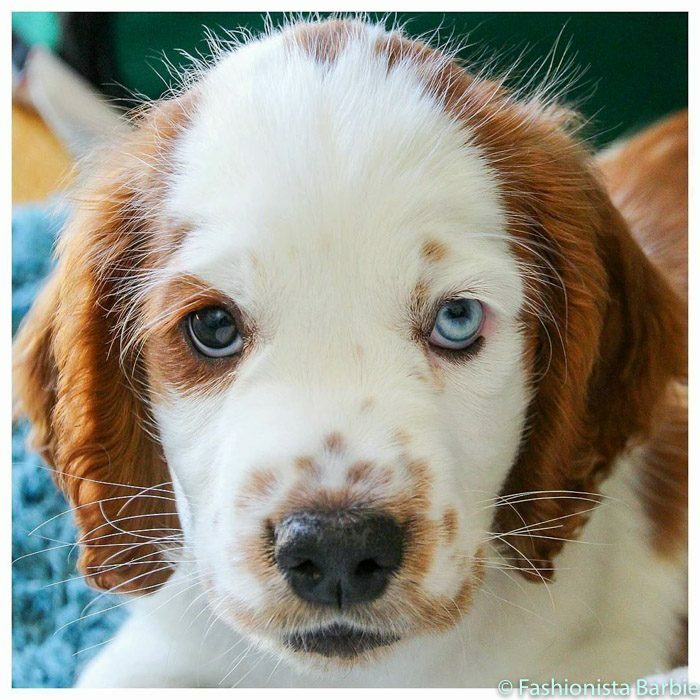 If you follow me on Instagram, Twitter or Snapchat you might have seen the latest addition to my family, the cutest Welsh Springer Spaniel puppy, ever, Falcon. I know I’m a little bias, but isn’t he so adorable? So, for this week’s Friday Favourites I thought I would share some of the stylish fashion accessories I’ve spotted to make your puppy and dog a little fashionista. I don’t know why there are so many dull pet products out there, but I’ve found some great fashionable brands – so now you have no excuse to spoil your little bundle of joy? When out shopping for Falcon’s collar and lead I realised how many dull products there out there for pets, you either have princess pink, rock-chic studs, or something of a primary colour, there wasn’t anything with any personality. I know it’s a practical item, but why can’t it also be fun and stylish? Well, that’s where the amazing Hiro + Wolf comes in with their cool East London meets East Africa aesthetic. If you’ve got a puppy or a dog check out their site as there are so many amazing products, I basically want it all, but I think a matching collar and lead would be a great start. How cool are these funky geometric prints – you’ll definitely have the smartest looking puppy at puppy training school. Already have a collar but want to jazz it up, why not try Creature Clothes slip-on bandana’s they literally just slide onto your dog’s collar, and I love this cool cartoon print. This style also comes in a small and large, so will be perfect for nearly every breed out there. Got the collar and lead and thinking about a trendy, yet practical dog coat have you seen Barbour’s canine version of the classic Barbour biker jacket? I’m a little obsessed, if you have a smaller dog breed there are a lot of options, for medium to larger breeds there really isn’t anything, and then I found this one from Barbour constructed from 6oz waxed cotton with an insulating polar fleece lining for extra warmth. I’m not sure how my husband will feel about us both matching the dog in matching Barbour’s but I love the idea. As well as the cute, fashionable pieces I’ve also put on some essentials, like dog bowls, bed, and, of course, toys, but even these are still stylish. I’ve found a couple of great websites Pets Pyjamas and Pet London that have fantastic selections. My favourite bed that I’ve seen has to be this Danish Design Maritime bed, I love the combination of linen stripes and denim textures, and as soon as Falcon is out of that destroying phase I will certainly be treating him with this bed for his slumbers. This bed also comes in various sizes so will perfect for most breeds. For dog bowls I have two great options, for something a little different try this Fellipet Oblik Superb dog bowl, apparently the curved base with a slope opening makes for an easier and healthier eating position for your dog as well as it looking great. For something more traditionally I love Mutts & Hounds dog bowls and these pale grey beauties will look great in any home. After some cute dog toys that you don’t mind scattering the house – check out these from Pet London, I love the red telephone box and black taxi, just adds a little style to their toys. Do you spoil your puppy?